Pioneers in the industry, we offer digital printing caps, embroidery cap, promotional caps, uv protective cap, glow in dark silicone rubber wrist bands and rexin folders from India. 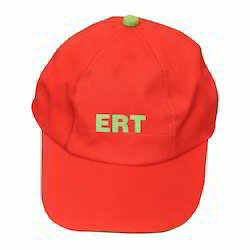 By employing skills of our deft team, we are offering an inclusive array of Embroidery Cap. 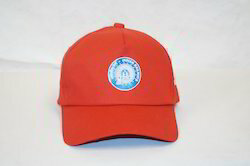 Our offered caps printing services are rendered by using advanced printing technologies in sync to the international quality norms. These printing services have attractive designs and fonts and demanded for its timeliness & quality. Apart from this, customers can take these caps printing services from us at nominal rates. 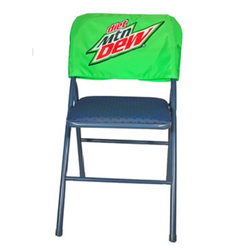 Our organization offers a qualitative range of services of Promotional Caps. We are equipped with most advanced printing technologies that enable us to print attractive designs and fonts. Our creative designers are highly talented and have years of experience of the domain. We offer customized solutions after understanding the ideas and needs of clients. 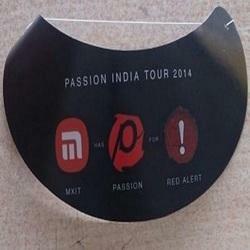 Printing on caps is an excellent idea of promotion and increasing the brand value. Our services are cost effective as compared to the same one offered by our competitors. 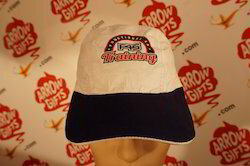 We manufacture worlds first uv protective cap. It is very light weight. We can give with printing. 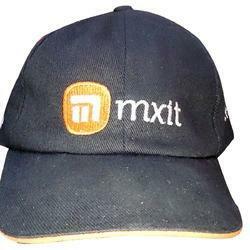 It protects your head even 50degree celcius temperature. Glow in dark wrist bands with customization. 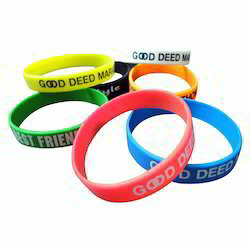 This is rubber silicone wrist band it has great strength.It glows in dark. Color:- Any color as per your requirement. 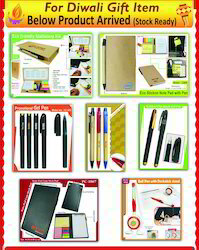 We manufacture Reine folders as per your specifications. We have embossing and gold foiling facilities. We manufacture paper caps as per customer specifications. 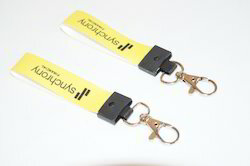 We can print small quantity also. We have a engraving facility. 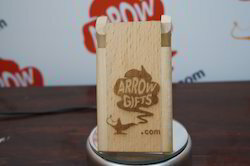 We engrave all gifting wood articles as per your requirements. We print on pen drives. 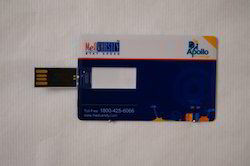 We can give personalization on both the side of pen drives. 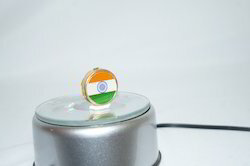 This is button badge and no pin is required. This is for all ocations and functions. 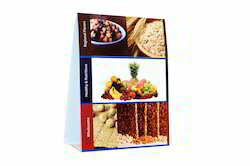 We can give corporate folders as per your specifications with logo printing and embosing. 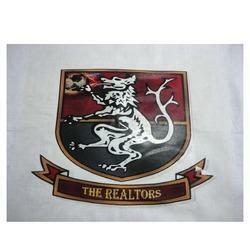 We do Flag printing on cloth. you can order us any personalized flag idea. we can take up even one also. 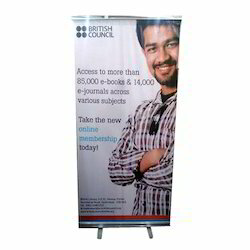 We print on colour cloth or satin cloth. We can print one colour or multicolour. 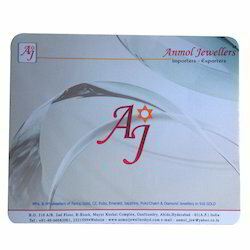 We manufacture Mouse pads as per your specifications.Also provide even one personalization Mouse Pad.This is very use for corporate gifing item. We do personalized mose pads. 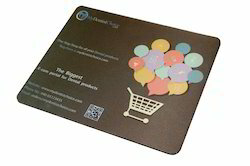 we can print personalized mouse pad with logo branding. We print multicolour in Umrella. 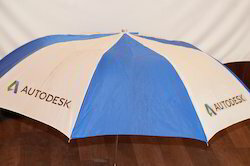 We also undertake logo printing on Umbrellas. Printing On Smiley Balls. 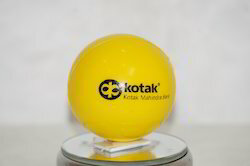 Print logos on sponge balls or smiley balls. With the aid of skilled and deft team of personnel, we have brought forth a comprehensive gamut of Tent Cards. Making use of top-notch class basic material altogether with hi-tech and sophisticated tackles and tools; these offered products are developed with excellence. To add, these are well reviewed prior its dispatch at the destination of our customers. This bag is made of Food grade paper and inks also eco friendly. 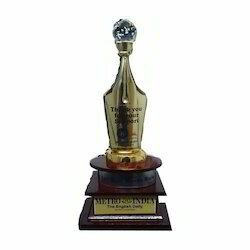 We are proficient in manufacturing and supplying of an exclusive range of Trophies, Shields & Medals that are made up of using high grade metals such as iron and brass. Designed as per prevailing industry standards of quality, these are also available with us in custom designed specifications provided by our customers. 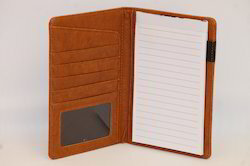 Engraved with logos and texts, these are intricately designed by our expert professionals. We also under take paper caps customization. 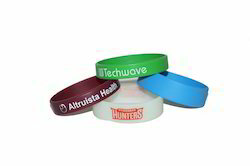 This is high quality silicone rubber wrist bands with printing. 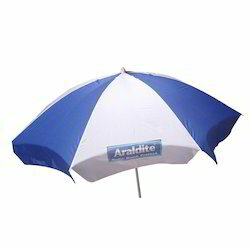 We manufacture as per your specifications. 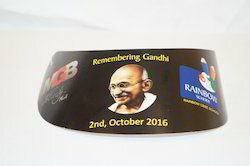 With immense experience in the domain, we are offering a wide range of services of printing Promotional Ceramic Plates. We have an advanced workstation which is equipped with modern printing technologies. 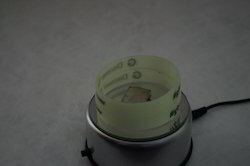 With the use of these technologies, we create high quality prints on ceramic plates. Our professionals keep interacting with the clients to understand their requirements and offer printing solutions accordingly. 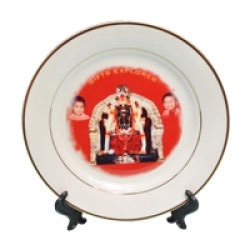 The plates on which we print are of best quality and are procured from certified vendors. Printed ceramic plates are one of the best corporate gifts to enhance the brand value. 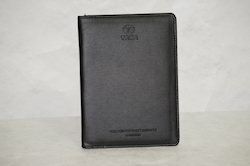 We deal corporate gifts. We do print on them and supply.